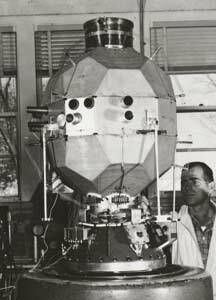 The “Injun” satellite series was developed at the University of Iowa by James Van Allen (and his team of “Injuneers”), launched between 1961 and 1974 to study radiation and magnetic phenomena in the ionosphere and beyond. 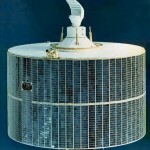 Injun 1 was the first satellite developed by a university. They notably monitored radiation from the Starfish Prime high-altitude nuclear test and mapped the Van Allen belts. 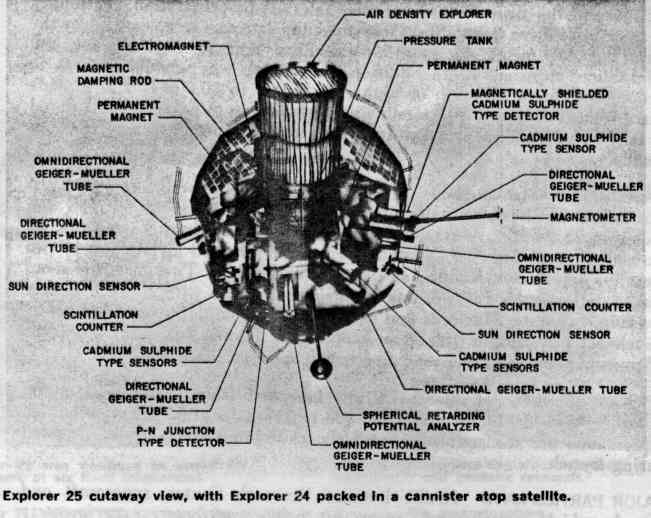 The last three of six satellites in the Injun series were launched by NASA as part of the Explorer program, thus Injun 4 is also designated Explorer 25. Originally, Van Allen had intended to name the first satellite of this series Hawkeye, for Iowa’s mascot and football team, but to avoid confusion with the new Hawk missile, he named it Injun, inspired by the Cajun sounding rocket and Mark Twain’s character Injun Joe. 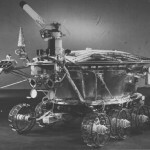 The name Hawkeye 1 was later used for Explorer 52 (approved by the NASA Project Designation Committee), the term Injun having received just one letter of complaint. 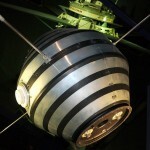 Launched on a Scout rocket from Vandenberg Air Force Base on 21 November 1964, the 40 kilogram Injun 4 satellite was an Archimedean solid, faceted with pentagons and hexagons, with an equatorial band. It carried a companion satellite in a capsule on top – a four meter inflatable sphere named Air Density Explorer (Explorer 24) (see the second and third image on this page). 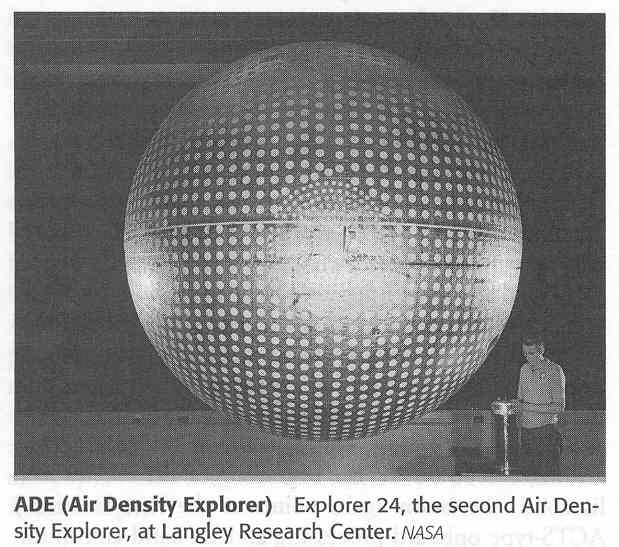 Explorer 24 was 3.6 m in diameter, built of layered aluminum foil and plastic film, and was covered with 5.1-cm white dots for thermal control. 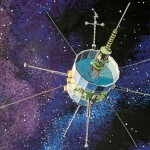 It reentered the earth’s atmosphere on October 18, 1968. Data from Injun 4 ended in December 1966. 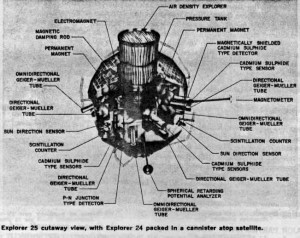 Injun 4 remains in orbit today, along with the Scout rocket body that launched it.